There is no question that smartphones, PCs, and other computing devices have changed the world and our day-to-day lives in incredible ways. But behind this innovative 21st-century technology lie supply chain and manufacturing processes still reliant on 19th-century sources of energy, dangerous mining practices, hazardous chemicals, and poorly designed products that drive consumption of the Earth’s resources. This hidden reality stands in stark contrast to the forward-thinking, environmentally conscious image most IT companies project. Greenpeace launched the Rethink-IT campaign to challenge the IT sector to take responsibility for its rapidly growing footprint on the planet. The Guide to Greener Electronics (the Guide, published by Greenpeace USA) provides an analysis of what 17 of the world’s leading consumer electronics companies are doing to address their environmental impacts, and where Greenpeace thinks work still needs to be done. From 2006 to 2012, Greenpeace published the Guide with regularity, and as a result saw steady progress from companies to eliminate hazardous materials from products and make them more energy-efficient. Now, it is clear the impacts of the linear take-make-waste business model employed by device manufacturers extend beyond the concerns of hazardous e-waste. Within each impact area, companies are graded on transparency, commitment, performance and advocacy efforts. 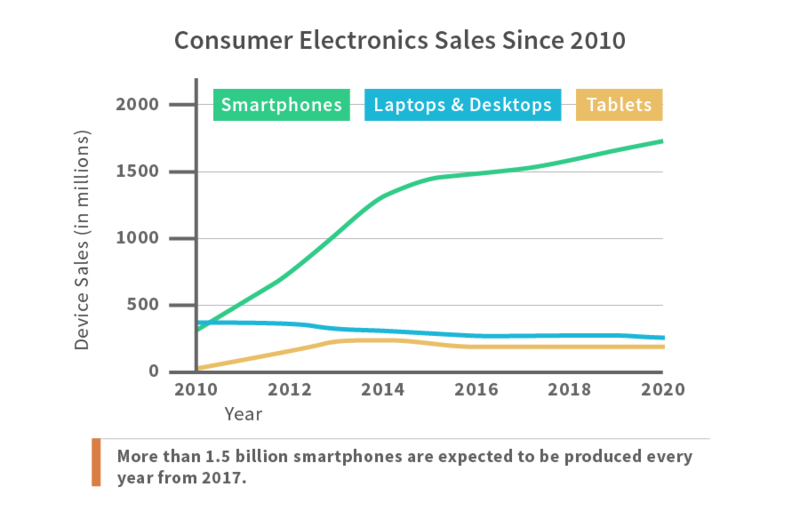 In this edition of the Guide we have focused on the largest electronic device brands (smartphones, tablets, and personal computers) in East Asia, North America, and Europe. Billions of electronics are being made, sold, and disposed of every year—a cycle that drives short-term profits for electronics manufacturers, but at too high a cost for the planet we all share. Mining for essential and finite raw materials often endangers workers and leaves the Earth irreversibly scarred. Coal-powered manufacturing contributes to rising global temperatures and the devastating impacts of climate change. The companies that are designing and manufacturing our devices must take into account the significant impacts they are having on our planet and the increasing demand from the public to define innovation not by fewer millimeters and more megapixels, but by how they are made—with renewable energy, reusable materials, and long-lasting design. Resolving the pollution problems created along the complex supply chain will not happen overnight, but it must begin at once. Fortunately, disrupting the status quo is nothing new to the IT sector. Now is the time for the tech sector to channel its expertise into reinventing the way that electronic devices are made and used in society, to reverse the ever-increasing consumption of the planet’s finite resources and reliance on fossil fuels, creating a circular and renewably powered business model that other sectors can follow. Lack of transparency in supply chain: Despite representing the majority of the environmental footprint for most electronic manufacturers, most companies publish little information on their suppliers, keeping their environmental performance and impacts hidden from view. 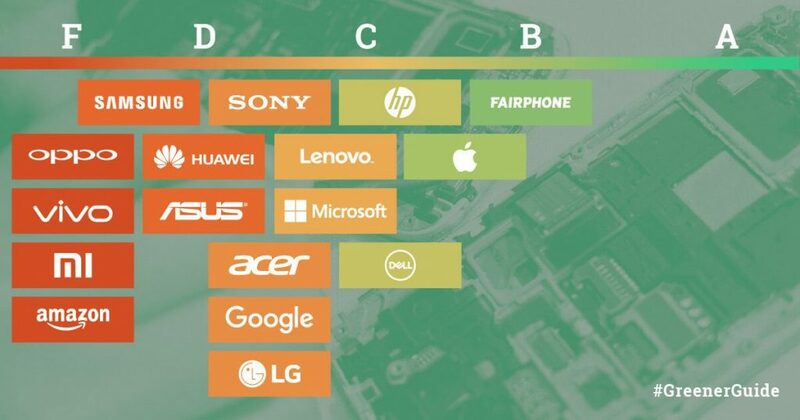 Of the 17 companies evaluated, only six publish a basic list of suppliers and only Fairphone and Dell provide details on the products or services from each supplier. 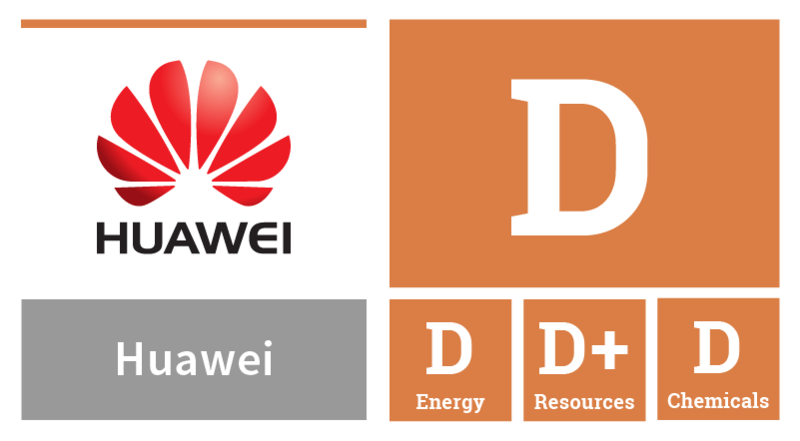 Among the top 3 brands in the global smartphone market, Huawei is the only brand reporting nothing about its supply chain greenhouse gas emissions. Supply chain driving demand for dirty energy: Upwards of 70 to 80% of the carbon footprint during the lifespan of personal computing devices occurs during manufacturing. 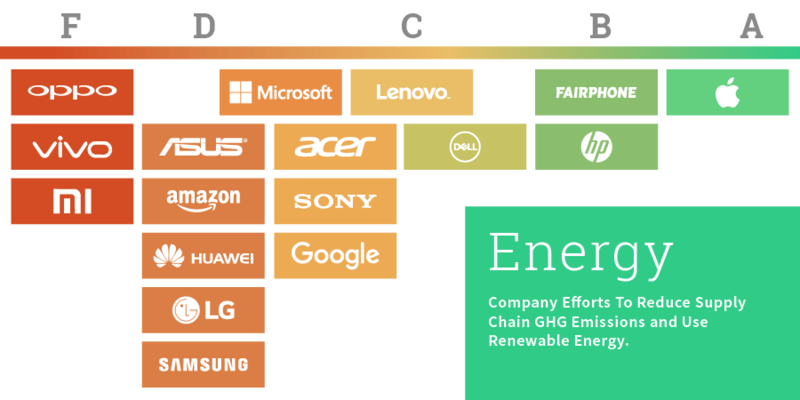 Despite impressive progress a number of companies have made in starting the transition of their offices and data centers to renewable energy, nearly all of the companies have yet to address the rapidly growing carbon footprint and dependence on dirty energy in their supply chains. 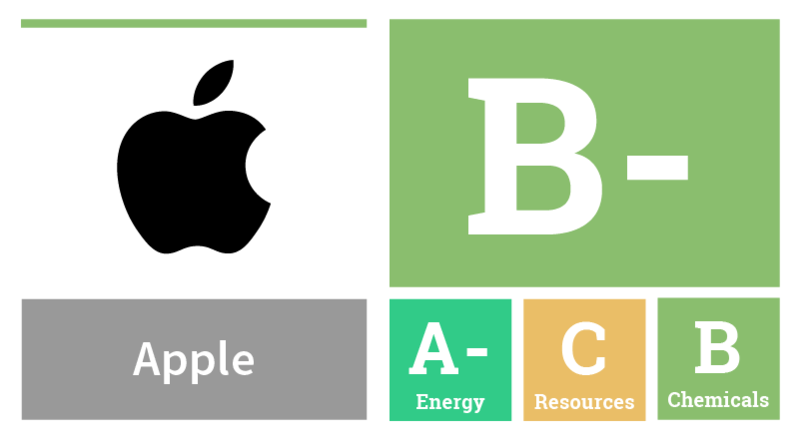 Apple is the only company thus far that has committed to 100% renewable power for its supply chain. Estimated GHG emissions (both own operations and supply chain) for the 17 companies in this guide were more than 103 million metric tons of Co2e in 2016, or roughly the same level emissions for the Czech Republic in one year. Samsung lagging on renewable energy: Samsung is both the largest manufacturer of smartphones worldwide and a supplier of key components to many of the other brands in the Guide, yet the company is holding the sector back by failing to tackle its climate change responsibility by committing to 100% renewable energy for its operations.The company used more than 16,000 GWh of energy in 2016, with just 1% coming from renewables. Chinese smartphone brands gaining global market share, but losing in green commitment: Chinese smartphone manufacturers, Huawei, Oppo and Xiaomi together occupied over a quarter of the global smartphone market share in quarter two of 2017. However, they score below average in all three impact areas, especially lacking transparency and substantial commitment in renewable energy. Huawei, now one of the top 3 smartphone brands in the world, has yet to realize its tremendous potential in environmental leadership. Amazon remains one of the least transparent: Amazon remains one of the least transparent companies in the world in terms of its environmental performance, as it still refuses to report the greenhouse gas footprint of its own operations. While Amazon is willing to talk about its recent renewable energy deals, the company provides few details on its sourcing of recycled materials that are going into its devices, nor does it publish any restrictions on hazardous chemicals in its devices or being used in its supply chain as other leading electronics brands provide. Planned obsolescence as design feature: Faced with market saturation for their devices in many countries, companies across the sector have increasingly changed the design of their products in a way that accelerates the replacement cycle by, making them difficult to service or upgrade, shortening the useful life of otherwise functional devices. Apple, Microsoft, and Samsung are among the companies moving in the wrong direction on sustainable product design. HP, Dell, and Fairphone are the notable exceptions to this trend, producing a growing number of products that are repairable and upgradable. Lack of urgency, transparency in tackling global e-waste problem: Worldwide e-waste volumes are expected to surpass 65 million metric tons in 2017. While a number of brands now offer some voluntary take-back programs, there is little if any reporting on what is actually being collected or where it goes upon collection. The end result: less than 16% of global e-waste volumes are estimated to be recycled in the formal sector, despite the valuable materials contained within. Often “recycled” e-waste ends up at informal recyclers and handled in ways that endanger worker health and the local environment. Use of secondary materials remains limited, with some recent progress: While a few IT companies have incorporated recycled plastics in their products for several years, very little progress has been made in sourcing other secondary materials into new products. Fairphone incorporates recycled tungsten, and Dell has shown success in using closed-loop plastic collected from its take-back channel. Apple recently committed to “closing the loop” for its materials, starting with tin and aluminum. Stalled commitments to product detox: Numerous companies, including Acer, Apple, Samsung, LG, Lenovo, Dell and HP made commitments in 2009/2010 to phase out PVC and BFRs from their products, to stem the tide of toxic e-waste. 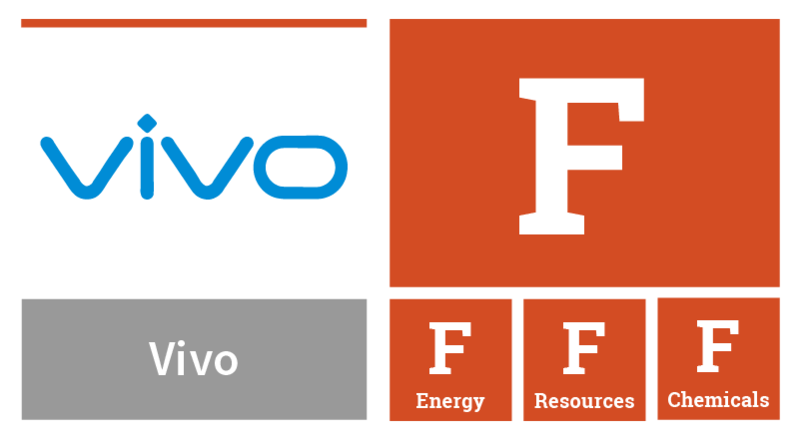 Now in 2017, only Apple and Google products are free of BFR and PVC across their product lines. Lack of transparency and monitoring of workplace chemicals: To eliminate hazardous releases to the environment from manufacturing facilities and also to protect worker health and safety, all companies in the Guide have work to do to identify and eliminate hazardous chemicals used in the production of their products, improve worker health and safety due diligence, and develop safe substitutions. Apple, Dell, Google, HP and Microsoft are the only companies in the Guide that publish their list of substances that must be restricted in the manufacturing of their devices (MRSL). 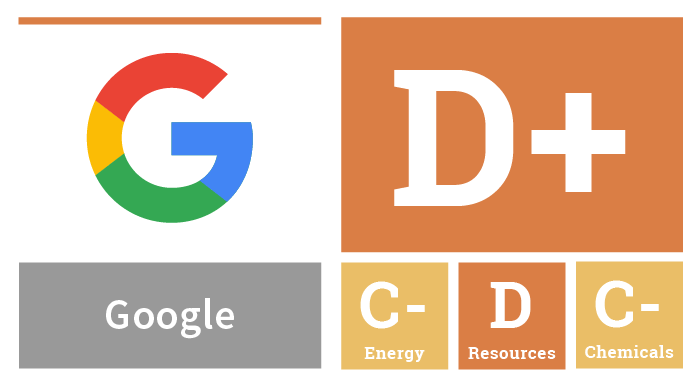 In the 19th edition of the Guide we evaluated three impact areas: energy use, resource consumption, and chemical elimination. For more details on each company’s assessment, click on the tile below, or download the full 2017 Company Report Card PDF. The IT sector has changed the world in undeniably amazing ways. How we communicate, access and share information, and even spend our free time have all been greatly influenced by inventions from leading IT companies. The internet and the devices we carry in our pockets or handbags to use the internet from almost anywhere in the world have reshaped our present and the future. However, the business model that underpins these devices remains largely stuck in the past, dependent on a linear system of production that requires constant consumption, while sacrificing the health of workers and the environment to subsidize manufacturing costs. This model may drive short-term profits for brands and shareholders, but it is not sustainable on a planet of finite resources, rising temperatures, and an increasing number of people getting connected with mobile devices. While there have been initial, but important, steps forward by a few major IT companies to reduce their environmental footprint, most brands continue to make product design and supply chain decisions that are increasing the negative environmental impact of their products. Increasing device complexity means greater amounts of energy are required to produce each device, with 70 to 80% of the energy footprint of personal electronic devices occurring during the manufacturing phase. 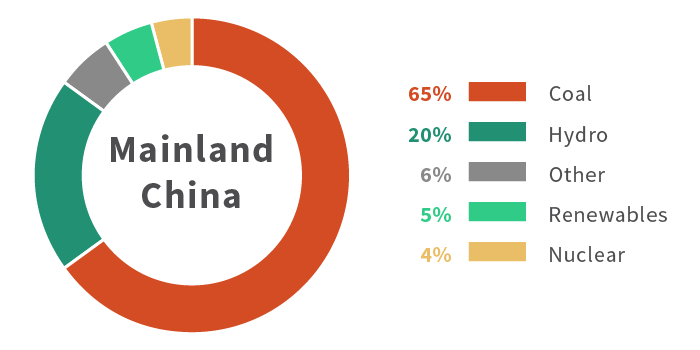 The manufacturing of electronics remains largely powered by coal and other forms of dirty energy in China and Southeast Asia, where most companies have based their manufacturing supply chains. Smartphones and other electronic devices are among the most resource intensive by weight on the planet–miners must dig through more than 30 kilos of rock to obtain the 100 or so grams of minerals used in a smartphone. Industrial mining scars the Earth permanently, leaving behind toxic wastewater and soil, and rehabilitation of mining areas is uncommon. Meanwhile, hundreds of thousands of people who work in the mining sector do so at great risk to their health and safety as they dig for ever-harder-to-reach natural resources. Cobalt, the mineral used in many batteries for portable electronics, is often mined in small-scale operations in the Democratic Republic of Congo (DRC) where miners often lack basic protective equipment and potentially fatal hazards exist such as insufficient ventilation and collapse of under­ground pits. Additionally, children as young as seven have been repeatedly found to conduct hazardous work in the extraction of cobalt. Tin, tantalum, tungsten and gold (3TG), all common minerals used in electronics, have been tied to armed conflict in the DRC. 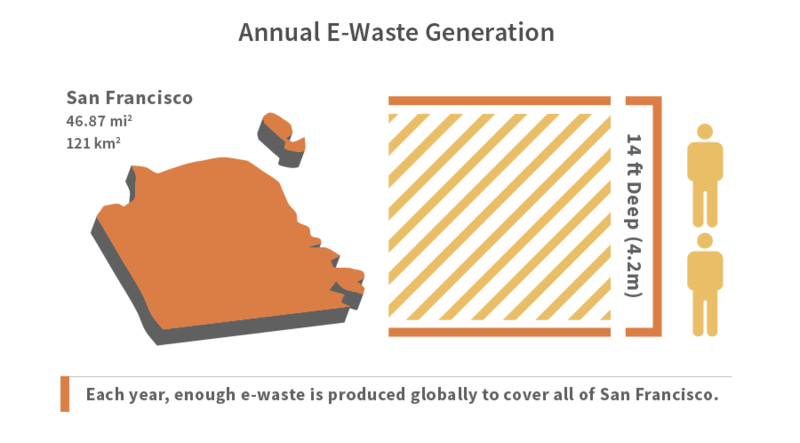 In 2017, e-waste volumes were predicted to reach 65.4 million metric tons, or enough e-waste to bury all of San Francisco at a depth of 14 feet every year. In 2014, only 15.5% of global e-waste was estimated to be recycled in the formal sector, despite the estimated $52 billion USD of precious materials contained within. Much of the rest destined for landfill, incinerators or informal disassembly operations threaten the health of workers and local communities. The three problems outlined above are made worse by the rapid rate at which electronic devices are being made, used, and thrown away. In 2015, more than 3 billion people owned a smartphone. By 2020, that number is expected to climb to over 6 billion, more than 70% of global population. This growth rate alone showcases the urgency of fixing the flaws of the current take-make-waste business model employed by device manufacturers. But a critical element in driving both the unfortunate environmental impacts of the sector and the tremendous profits of many companies, is the frequent repeat customer–as the average lifespan for smartphones is still just over two years. This steady turnover of smartphones and other devices is increasingly driven by unsustainable product design. Faced with growing market saturation in some countries, companies are increasingly designing their devices in a way that reduces their lifespans by making repairs or servicing the device difficult, if not impossible. As a result, the expected life of products is significantly shortened, and all the energy, resources, and human effort expended to make each device are wasted once the device is damaged, needs a new battery, or the user outgrows the device’s storage capacity. Electronics manufacturing remains at the cutting edge of technological development and has a strong economic future. There is no reason why it should not also be at the cutting edge when it comes to sustainable product design and innovative manufacturing. This includes a crucial role in the rapid transition to renewable energy (RE), the substitution of hazardous chemicals, and greater worker health protection as well as the prevention of environmental pollution and human rights abuses at its source and once products become waste. However, it is not enough for the industry to merely clean up its manufacturing methods for these devices. From its choice of energy to selection of raw materials, the industry needs to reinvent the way that electronic devices are made and used in society to reverse the ever-increasing environmental impacts driven by the growth of the sector. Below are three critical intervention points consumer electronics companies must employ to upgrade their business model and reverse the ever-increasing consumption of the planet’s finite resources and reliance on fossil fuels. Electronics manufacturing involves material inputs and manual labor from almost every continent. The supply chain for a single electronic device involves hundreds of supplier companies, in a web that crisscrosses the planet. The fact that most electronics brands do not own the facilities that make their devices does not absolve brands of their responsibility for upstream environmental impacts. Electronics brands should disclose the list of suppliers they use to make their products, including what the supplier does and where it is located. Electronics brands should also disclose information about these facilities, including amount and type of energy used in the manufacture of a brand’s products, the amount and type of GHG emissions generated, and the chemicals used in these facilities. Regular public reporting of these metrics will help to drive improvement over time. Many tech companies have led the way in transitioning to renewable energy to power their corporate offices, and in some cases data centers and retail operations. However, it’s in the manufacturing of their products where most of the GHG emissions are generated for major device manufacturers. The surge in electronics production in Asia since the 1990s has contributed to the demand for coal-powered electricity that is fueling climate change and degrading local air quality. Companies can start with setting a goal to reduce supply chain emissions like HP, or actively partner with suppliers to procure renewable energy like Apple. Most electronics companies have established a code of conduct for their supply chain, and conduct regular audits of their suppliers as a means of assessing compliance. While audits, if done thoroughly, have shown their potential to be a useful tool to help brands identify problems in their supply chain and form a roadmap for improvements by the suppliers. There are increasing signs of limits of the auditing process as a means of driving change, particularly given that many brands are simultaneously seeking to cut margins as low as possible, and typically resist entering into longer term relationships that might create a greater incentive to tackling root cause issues. Leading companies in this year’s Guide are moving beyond the audit, and partnering with suppliers to drive investments needed to improve environmental performance and worker health. This work can take multiple forms, from working with suppliers to install onsite RE to working with competitors to research and develop safer chemicals or greater stocks of recycled materials. The short lifespans of consumer electronics exacerbate the toll these devices take on the planet’s finite resources and contribution to overall GHG emissions. By extending the useful life of an electronic device, the negative environmental impacts created in the manufacture and disposal of that device are spread out over time, helping to reduce the sector’s overall impact. Brands need to design phones that are easy to repair and contain standard parts that can be replaced without the need to replace the whole device. Software updates should extend, or at minimum not end, older products’ lifespans. Hazardous substances in devices perpetuate a toxic cycle, creating massive amounts of hazardous waste that endangers recyclers, the environment, and makes a circular production model challenging. Brands need to phase out harmful substances in the design phase so that end-of-life handling can be safer and more effective in achieving closed-loop production cycles. The current linear production model requires massive amounts of virgin inputs, the sourcing of which damages the environment, depletes finite resources, and endangers workers and communities. Brands can reduce the need for virgin materials by incorporating more recycled/secondary inputs such plastic and metals and striving to use as many closed-loop inputs in their products. Brands must ensure their products are designed to allow for easy recycling after the product no longer functions. To reduce the environmental impacts associated with electronics manufacturing, devices should be kept in use as long as possible, even beyond use by the original customer. 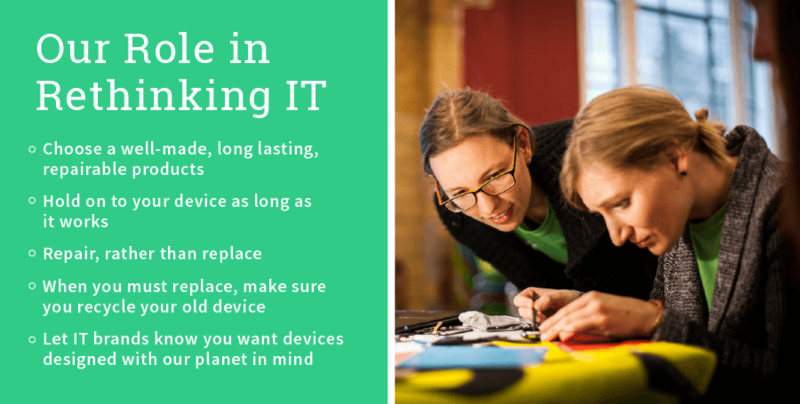 Electronics brands can support this by marketing still-functional refurbished products, while also making repair manuals and spare parts available so repairing, rather than replacing, a device becomes a more accessible and affordable option for consumers. With e-waste volumes mounting across the world, it’s clear the current system of electronics take-back is not keeping up with new production. Electronics brands not only have a responsibility to ensure safe and responsible treatment of their products when they no longer function, but they also have an opportunity to reuse many of the valuable commodities and components contained in discarded electronics. Electronics brands must make their take-back systems easy to use and accessible to consumers. When electronics are recycled in the formal sector, the current technologies, including the smelting and shredding of entire devices, do not maximize the amount and variety of materials which can be recovered. Dismantling devices before recycling treatment has been shown to be the most efficient in recovering the highest variety and quality of materials. 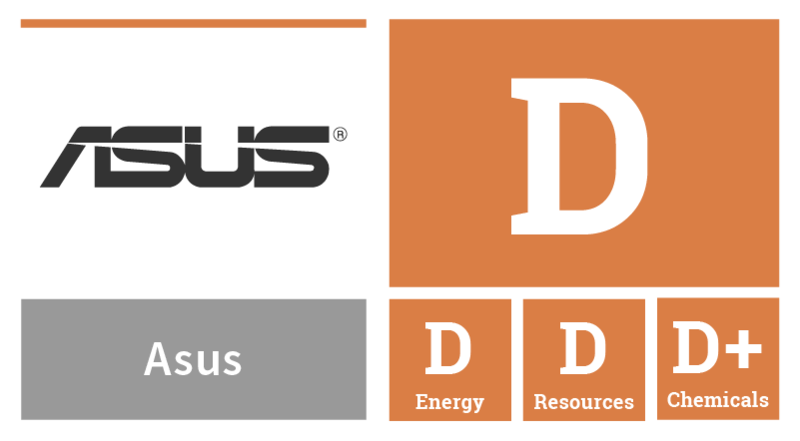 In addition to improving product design for disassembly, electronics brands must work with recycling partners that pursue dismantling and direct processing of components to maximize material recovery. The digital world–our digital devices and the internet that links them together–is becoming more central and a larger piece of modern society with each passing year. Ubiquitous, fast and cheap internet access combined with a seemingly endless arrays of internet-enabled devices are rapidly redefining what we consider online and what is offline. The transition to the digital age offers tremendous potential to help us be smarter about how we use energy, enabling us to better measure and manage our energy consumption, allowing us to rely more on renewable sources of energy. But along with the significant solutions potential, delivering the digital age requires a tremendous amount of energy. Despite recent improvements in energy efficiency in both our devices and in the operation of data centers, the global IT-related energy appetite marches rapidly upward. The IT sector was estimated to already consume over 7% of global electricity demand in 2012, with projections this could exceed 12% by 2017, and continuing to grow at least 7% annually through 2030, double the average rate of electricity growth globally. While the energy required to power our devices remains significant, for devices like smartphones, tablets, and PCs, the largest share of greenhouse gas emissions now comes from the manufacturing phase. Devices have become more energy-efficient due in part to the shift to mobile platforms, as well as more complex, which increases the amount of energy required to produce each one. Life-cycle assessments of smartphones, tablets and PCs have consistently found that the production phase, including resource extraction and processing, component manufacturing, and assembly, contributes the most to total greenhouse gas emissions, in some cases as much as 80%. The combination of creating more energy-intensive devices that have a shorter lifespan quickly adds up. Since the launch of the first iPhone in 2007, approximately 908 TWh, close to the the annual electricity consumption of Japan, have been used to manufacture smartphones alone. With the number of smartphones in use expected to double by 2020, along with the rapid spread of other internet-connected devices, the need for powering the factories that make our devices with renewable sources of energy has never been more urgent. Under the Paris Climate Agreement, governments set the goal to stay within a total increase in global temperature of 1.5℃, what climate scientists say is needed to avoid dangerous and irreversible climate change. 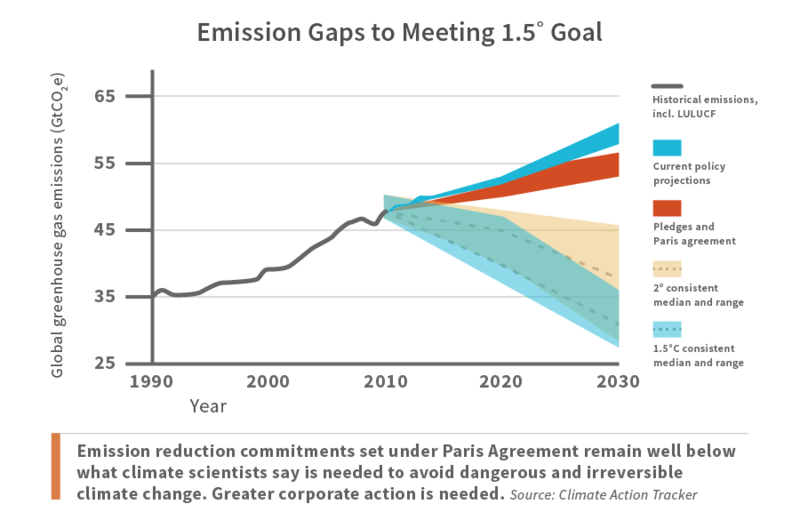 Yet the emission reductions commitments in Paris remain well below what is needed to achieve this goal (see graphic below). Further corporate leadership to drive the deployment of renewable energy is urgently needed to address this gap, particularly by fast-growing areas of electricity demand such as the IT sector. A number of IT companies have already begun to embrace this challenge, led by Facebook, Google, and Apple starting in 2012 by committing to power their data centers with 100% renewable energy. Now, more than 20 IT companies who operate the energy-intensive data centers that power the internet have thus far committed to transition their own operations to 100% renewable energy, translating to the deployment of over 7 GW of additional renewable electricity capacity since 2010. While this has been an impressive start to the transitioning of the IT sector to renewable sources of energy, nearly half of electronics manufacturers have not yet made any commitments to power their own operations with renewable energy, and only a few companies have begun to take responsibility to reduce the rapidly growing manufacturing footprint of their supply chain. Most companies only publish detailed data on their own operations, with little information on their suppliers, often keeping the amount of pollution and greenhouse gases associated with the energy demand in the supply chain hidden from view. Less than half (8 out of 17) of the companies evaluated in the Guide published their GHG emissions arising from their suppliers, despite it representing the majority of the environmental footprint for most electronic manufacturers, with only six companies publishing a list of their suppliers. 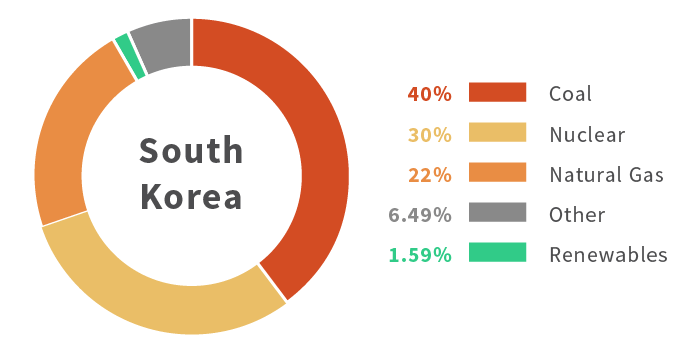 The vast majority of electronics production, from chip making to final assembly, is concentrated in Asia, particularly in mainland China, but also in South Korea, Taiwan, Japan, and Vietnam. Electricity generation in all these countries is predominantly reliant on fossil fuels, particularly coal, with access to renewable sources of electricity extremely limited. The dramatic expansion of electronics manufacturing in mainland China, Vietnam and South Korea continues to increase the sector’s reliance on coal at a time when we need to be transitioning away from fossil fuels as rapidly as possible. Despite some improvements in transparency on greenhouse gas emissions by a few companies, clear reporting of where a company’s supply chain energy footprint is distributed, how it is changing, what amount is powered by renewable energy remains incredibly poor for a sector that is otherwise incredibly data driven. Huawei–despite being the top 3 in the global smartphone market, reports nothing about its suppliers and supply chain GHG emissions. Of the 17 companies evaluated here, only six publish a basic list of suppliers, and only Fairphone and Dell provide details on the products or services from each supplier. Annual GHG emissions (both own operations and supply chain) for the 17 companies in this guide, based on reported data and estimates based on sales volumes, were more than 103 million metric tons of Co2e in 2016, or roughly the same level emissions for the Czech republic in one year. While there has been a growing number of consumer product companies who have begun to make measurable commitments to reduce their carbon footprint across their supply chain, only a small handful of IT brands have stepped forward to change the trajectory of their supply chain. Apple: CEO Tim Cook made Apple the first company to expand its commitment to be 100% renewably powered to its manufacturing supply chain in 2015, and has since set near-term targets to deploy 4GW of renewable energy linked to its supply chain globally, and 2GW specifically in China. 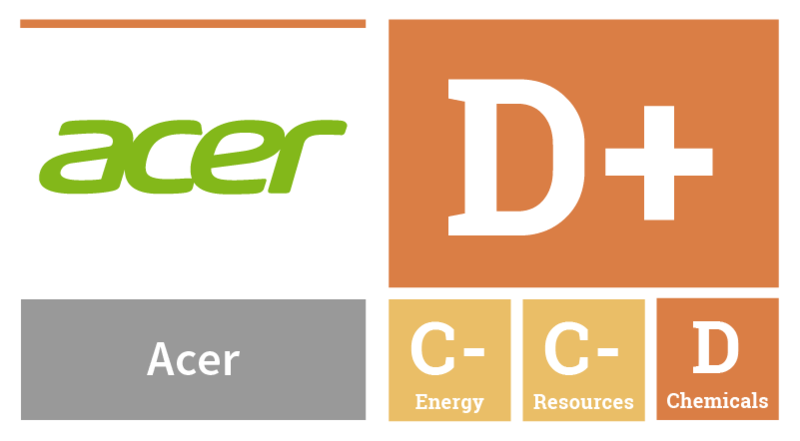 Apple has now succeeded in getting 14 suppliers to make near-term commitments to become 100% renewably powered for the Apple-related portion of the supplier’s energy demand. 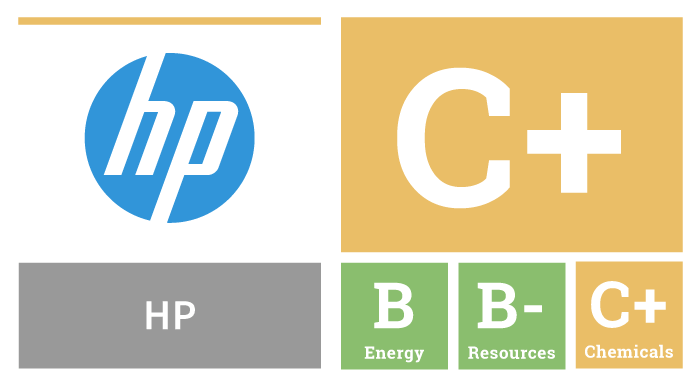 HP Inc: Was one of the first companies to set reduction targets for its supply chain greenhouse gas emissions, and has seen its GHG intensity reduce by 21% across its supply chain since 2010, with 93% of its suppliers having set GHG reduction targets. 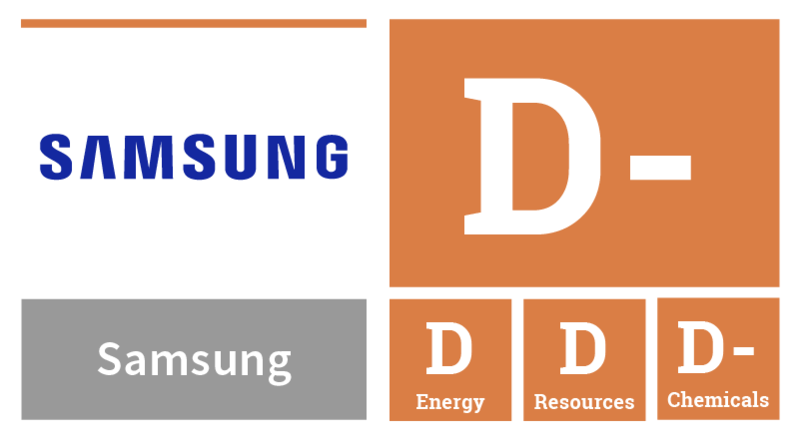 Samsung: Despite its central position among manufacturers as both the largest manufacturer of smartphones as well as one of the the largest suppliers of displays, memory chips, and other semiconductors that are used in personal electronic devices of a wide range of companies, Samsung lags far behind other brands in tackling its corporate contribution to climate change. Samsung has a weak intensity-based goal for reducing its own GHG emissions, while its absolute emissions are increasing between 10-15% each year, and Samsung has yet to set either a renewable energy or GHG mitigation goal for its expanding supply chain. In 2016, Samsung used over 16,000 GWh for its own operations, more energy than the Dominican Republic used in 2015, but only 1.09% came from renewable sources. Huawei: Among the top three smartphone brands in the global market, Huawei is the only one that reports no information on its supply chain GHG emission. While it reports limited efforts to improve energy efficiency with suppliers, Huawei has yet to set any goals to transition its supply chain to renewable energy. Amazon: In addition to its reputation as one of the world’s largest online retailers, through its Kindle e-readers and Fire tablets, Amazon is also the third largest sellers of tablet computers in the world. With the recent success of the Amazon Echo, Amazon is leading the rapidly expanding smart speaker market as well. 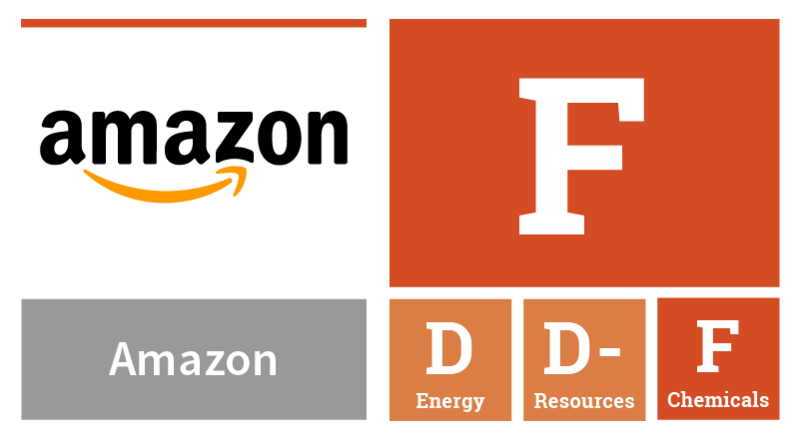 Unfortunately, Amazon remains one of the least transparent companies in the world in terms of its environmental performance, as it still refuses to report the greenhouse gas footprint of its own operations, a failure that is drawing the attention of its investors. CEOs of IT companies have also been among the most vocal in opposing US President Donald Trump’s intention to withdraw the U.S. from the Paris agreement. Amazon, Apple, Google, HP, and Microsoft are among the hundreds of companies committed to support the efforts of the global Paris Climate Agreement. Amicus Brief filed in US Federal Court by Facebook, Google, Amazon, and Microsoft in support of the Clean Power Plan to regulate CO2 emissions from power plants and support the deployment of renewable sources of electricity. Japan: Sony, Apple, and Microsoft join seven other companies in a joint statement earlier this year in support of greater access to renewable energy in Japan for corporations who want to be powered with 100% renewable energy. The take-make-waste cycle that underpins the present business model of most electronics companies is inherently unsustainable and is compounded by design decisions made by these companies which make repairs and materials recovery more difficult. To combat the human and environmental toll of mining and processing of ores, while also stemming the tide of e-waste, electronics manufacturers must establish ambitious targets to reduce overall resource consumption via extending product lifespans and using increased amounts of recycled inputs. The most sustainable gadget on the market is the one you already own. 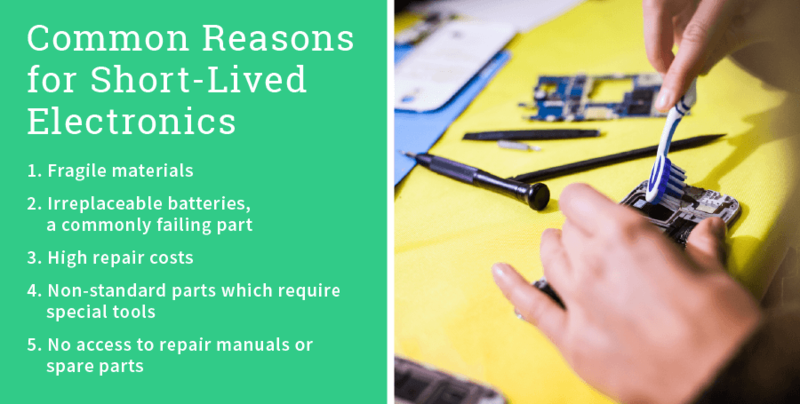 In that same vein, the surest way for electronics brands to improve resource efficiency is to extend product lifespans, by making durable products, making repair simple and accessible, and making products upgradable. The US-based repair company iFixit conducts repairability assessments of leading electronic devices. In the past five years, many companies introduced increasingly less repairable and upgradable products, including Apple’s Macbook laptop line and Samsung’s and LG’s smartphones. Microsoft’s Surface line has also worsened, sliding from just 1 out of 10 for repairability to an unprecedented zero, largely due to the strong adhesive that required breaking the laptop in an effort to access it for repairs. In June 2017 Greenpeace worked with iFixit to assess more than 40 recent best-selling gadgets on repairability and found it was difficult or impossible to replace commonly failing parts, such as the battery or display, in nearly 70% of the products assessed. Unlike laptops, which have historically been designed to allow users to replace the battery or memory when these parts fail, tablets and smartphones now rarely have these features, which necessitates purchasing a brand new product when one part fails. Fairphone and HP are welcome exceptions to this trend, with Fairphone announcing the first upgradeable smartphone in September 2017 with a modular camera, and HP offering two upgradable tablets. Planned obsolescence is any approach to designing consumer goods that rapidly become obsolete and therefore require frequent replacing. In terms of durability, there is a worrying trend among flagship phones. Despite luxury price tags, these devices are exceedingly breakable. The LG G6 and Samsung Galaxy 8 are examples of this, the latter has been reported to be one of the most breakable phone of all time due to edge-to-edge glass on both sides. After a device’s first life, if still functional, refurbishment offers the highest economic value and lowest environmental impact as a processing method. Several of the brands assessed, including HP, Dell, Lenovo and Microsoft, offered a wide range of refurbished products in mature markets. Other brands, including Xiaomi and Samsung offered refurbished products on a token basis. It’s reported that Samsung refurbished and sold 10% of the more than 4 million Galaxy Note7 phones it recalled in response to overheating batteries. Had the Note7 been designed in a way in which the battery could be easily replaced, Samsung may have been able to avoid the recall and simply offer customers replacement batteries. Dell, HP and Fairphone lead in terms of designing their products with repairability in mind. These companies use standard parts and avoid adhesives, design decisions which make accessing the device for repairs and end-of-life recycling an easier task. Additionally, these companies support broad repair by making service manuals and spare parts publicly available. 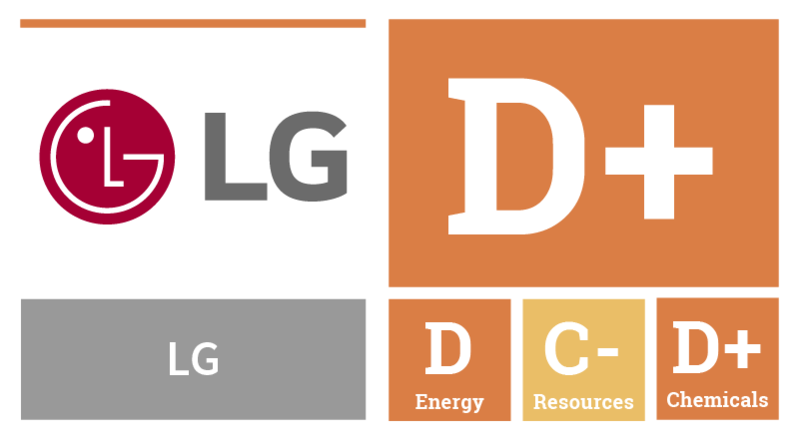 Despite LG and Samsung’s prominence in the household appliance market, which are typically designed with repairability in mind, they’ve trended towards designing less repairable smartphones in recent years. Recent Samsung and LG laptops, however, are repairable, demonstrating these companies do know how to design repairable consumer electronics. Apple continues to design products with proprietary parts to limit access and actively lobbies against right to repair legislation in New York and Nebraska. 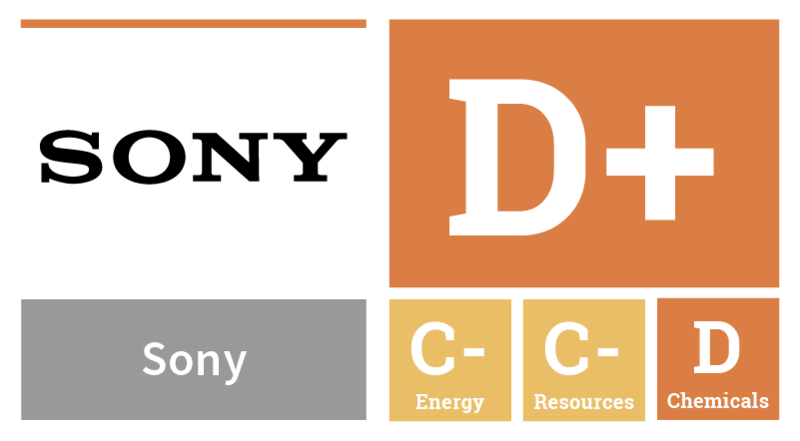 It is reported that Apple and Sony have blocked attempts to strengthen environmental electronics standards that would encourage device designs that are easier to repair, upgrade, and disassemble for recycling. Microsoft designs some of the least repairable tablets and laptops, some of which require damaging the device to access it for repairs. This also means that disassembling the device at end-of-life for efficient recycling will be a challenge. Much greater transparency is needed to better assess material use and resource reduction in the electronics sector. 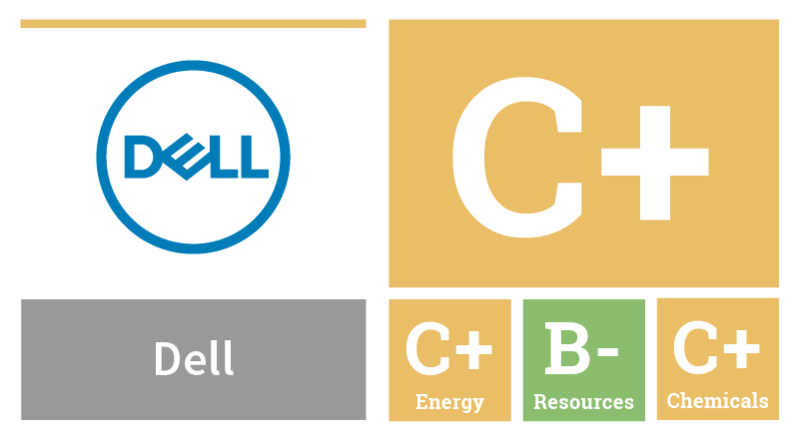 Dell and Apple appear to publish material composition data for all products, which also includes information about recycled content, when used. HP, Samsung, LG, Huawei, Microsoft and Lenovo publish some product-level material use data, though not for all products. At the moment, HP gives the clearest picture of the scale of its take-back efforts compared to overall consumption: 900,000 tonnes of materials used in 2016 for products and packaging; 119,900 tonnes equipment collected for recycling, or roughly just 11% materials recovery compared to this year’s material use. Most companies evaluated appear to offer some take-back options beyond regions where required by law, however, not all these programs are easy to navigate, for example, Microsoft’s take-back program redirects you to a number of external websites, not all of which contain needed information for recycling. It’s challenging to determine how effective take-back efforts are across the sector as no companies provide data on the amount of products that are being sent back compared to previous sales figures, or how collected products are actually processed when sent for recycling. Basel Action Network has repeatedly demonstrated that e-waste collected for recycling is often ending up in informal disassembly operations that threaten the health of workers and local communities. In terms of raw material sourcing transparency, all companies that are publicly traded in the US must follow the Dodd-Frank act and disclose where they source tin, tantalum, tungsten and gold, because of concerns about funding armed conflict in the Democratic Republic of Congo (DRC). Similar legislation will go into effect in the EU in 2021 and voluntary guidelines exist in China. Conflict is not the only human rights abuse linked to mineral extraction, nor is the DRC and surrounding area the only region where human rights abuse occurs in mineral extraction. Much of the mining for cobalt in electronics occurs in small-scale operations, where miners, sometimes children, work long hours, doing physically demanding work, typically without protective equipment. Apple, Microsoft, Fairphone, and Dell have voluntarily extended their supply chain due-diligence program to include cobalt, in an effort to resolve forced child labor issues. Additionally, Fairphone sources fair-trade-certified gold. In addition to extending lifespans, IT manufacturers must incorporate recyclability into product design. Recyclability means both incorporating more recycled materials in place of virgin materials, and also designing products to be more easily recycled at end of life. The ideal production model would be one that is closed-loop—that is, the company will recover all products they make once they reach the end of functional life and reuse as many components and materials as possible to make new products. Whatever cannot be reused will be disposed of responsibly. This will reduce the stream of hazardous e-waste flowing to dangerous rudimentary recyclers in the Global South while also lightening demand for virgin mined materials. When closed-loop materials are not sufficiently available, electronics companies should prioritize open-loop recycled inputs, over virgin materials. Closed-loop: The sourcing of materials for new electronics from obsolete electronics, thus reducing e-waste. Open-loop: The sourcing of recycled/secondary inputs from the waste flows of other sectors. Closed-loop recycled content cannot exist without products also being designed for high recyclability, to supply secondary resources of a sufficient quality to be reused in new products. While 100% recovery of materials is not currently possible because of device complexity, there is still much room for improvement in both product design and take-back programs to increase overall recovery rates of devices and the materials contained within them In February 2017, Fairphone published a study which determined that dismantling devices at end of life prior to smelting provides for higher recovery rates of a broader amount of materials, compared to just shredding or smelting alone. 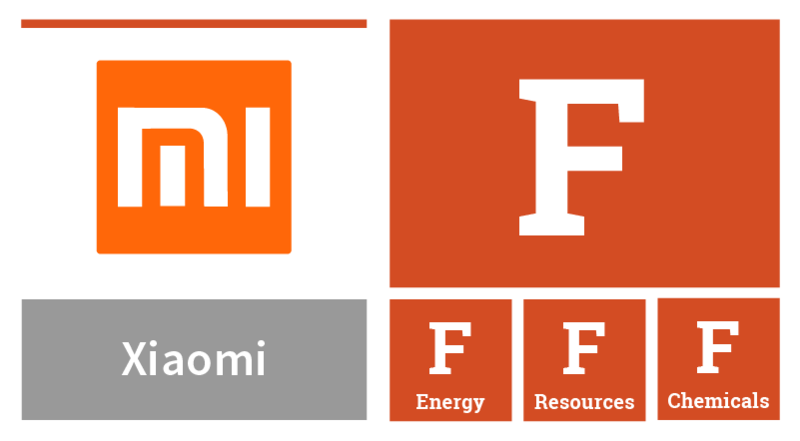 In addition, Fairphone found that modular design can help improve the recovery rates of essential metals for electronics including gold, copper, silver, cobalt, nickel, palladium, platinum, gallium, indium, zinc, tungsten and tantalum. Modular design can also enable the recovery and reuse of still functioning components as spare parts. Apple’s April 2017 goal to move toward a closed-loop supply chain for all its products established a new high bar for the whole sector to work towards. Apple’s goal does not include a timeline at this point or details on how the company will achieve this goal in spite of metallurgy constraints, but the company has privately analyzed 44 different materials it sources considering environmental and human rights issues to determine which would be priority to source closed-loop. Fairphone has conducted a similar materials analysis and also made the results public, which helps to share learnings with the rest of the sector. Actual closed-loop sourcing projects are limited at this point. Dell reports that roughly one-third of its overall use of recycled plastic comes from electronics it recovers through its take-back channels. Apple also reports to be using recovered aluminum from returned iPhone 6 devices in factory Mac minis. Apple is also working with a recycler to recover tin and other metals from iPhone 6 logic boards disassembled by Liam while also moving to recycled tin solder in the main logic board of iPhone 6s since April 2017. 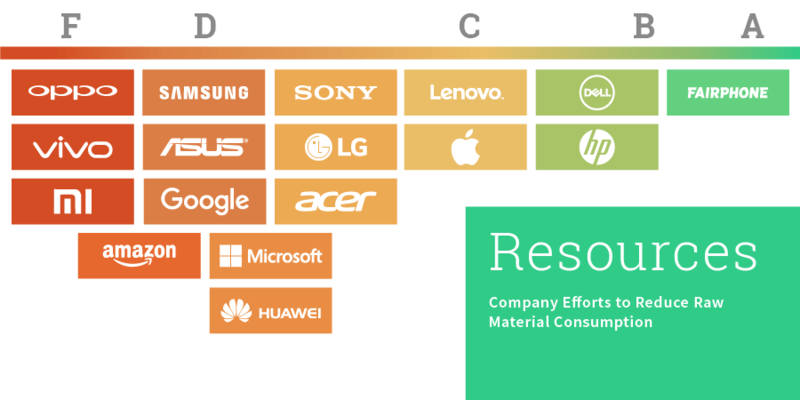 Dell, HP, Lenovo, Samsung, Sony, LG, Acer, Fairphone and Apple all report using some open-loop, post-consumer recycled plastic in some of their products, though none are doing so at high rates, i.e. more than 50% of total plastic use, or more than 50% in a specific product. 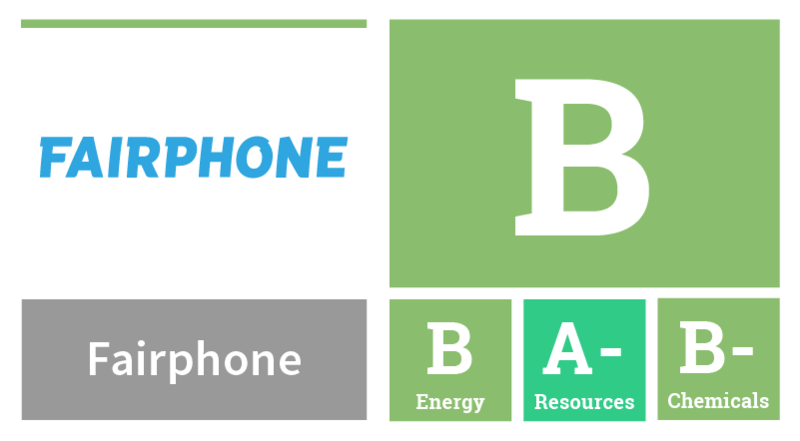 Beyond plastic, Fairphone reports using recycled copper and tungsten. The extensive use of hazardous chemicals in consumer electronics means that workers in recycling operations, including children, can be exposed to a cocktail of toxic chemicals and by-products, which can also contaminate the surrounding environment. While some companies committed to phase out hazardous chemicals such as BFR and PVC from their products nearly ten years ago, few have followed through with their commitments–either removing a deadline or reducing the scope to apply to only certain products or parts. Additionally, it’s become increasingly clear that product chemicals are not the only substances of concern in the electronics supply chain. The workers who toil long hours making parts or assembling devices may be handling hazardous substances without proper protections or even knowledge of the risks. Across the sector, there is need for follow-through on commitments to product detox as well as greater transparency and ambition in terms of managing process chemicals, including finding safe substitutions. The presence of polyvinyl chloride (PVC) plastic and brominated flame retardants (BFRs) results in the release of highly toxic dioxins, among other hazardous chemicals, when scrap is burned—threatening the health of workers and community members at rudimentary e-waste recycling operations. Many BFRs are themselves hazardous chemicals, which can cause problems even if not burned. Other examples of hazardous chemicals commonly used in electronics also pose a range of environmental and human health problems. Phthalates, used widely as softeners for PVC, migrate out of plastics over time. Some are classified as “toxic to reproduction” and are known to be hormone disrupters. Antimony trioxide is recognized as a possible human carcinogen; exposure to high levels in the workplace, as dusts or fumes, can lead to severe skin problems and other health effects. Beryllium and beryllium compounds, when released as dusts or fumes during processing and recycling, are recognized as known human carcinogens. Exposure to these chemicals, even at very low levels and for short periods of time, can cause beryllium sensitization that can lead to chronic beryllium disease (CBD), an incurable and debilitating lung disease. In 2010, 16 global electronics companies (including television manufacturers) had made commitments to phase out PVC and BFRs from all products or certain product lines within a reasonable timeline. Similar commitments were also made to eliminate other hazardous chemicals—antimony and compounds, beryllium and compounds and phthalates—on slightly later deadlines. Unfortunately, in 2017, only Apple and Google have eliminated BFRs and PVC from all product lines and parts. Acer, Dell, HP, LG, Lenovo, Microsoft, Samsung and Sony have all failed to fully follow through on commitments made circa 2009, with exemptions made for ongoing use of BFRs and PVC in certain parts or accessories. Fairphone was founded in 2013. Since then the company has phased out PVC entirely and is working on phasing out BFRs and phthalates. Huawei, also not assessed in previous Guides, reports it has set restrictions on the use of BFRs, PVC, phthalates, antimony trioxide, and beryllium and beryllium compounds in consumer products starting in 2016, though the levels of acceptable/restricted use are not clear. All consumer electronics companies should prioritize the elimination of PVC, BFRs, phthalates, antimony trioxide, and beryllium so that recyclers of e-waste will not have to deal with these toxic substances and their by-products. Companies must also take greater responsibility for their own obsolete products and ensure their collection and safe recycling. Substantial concerns exist for many chemicals used in electronics production, both for potential exposure in the manufacturing workplace and the potential for environmental consequences following their release in waste streams. 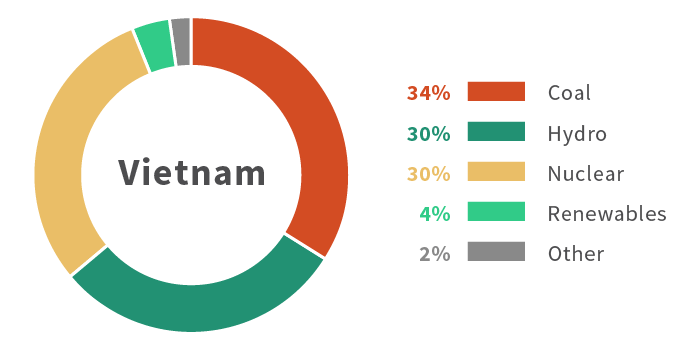 Once again, because electronics manufacturing is concentrated in China and Southeast Asia, these communities are most impacted by manufacturing hazards. Particularly in China there are reports of electronics manufacturing factories using hazardous chemicals that can cause cancer (carcinogens such as benzene) or nerve damage (neurotoxins such as n-hexane) and are suspected of causing birth defects and miscarriages. In South Korea, more than 200 factory workers have made allegations that their life-threatening illnesses, including cancer, are a result of exposure to hazardous chemicals from working at semiconductor factories. More recently, at least six workers developed acute methanol poisoning, which lead to vision damage and blindness, while working at phone component supplier factories for Samsung Electronics and LG Electronics. Despite these concerns, very few electronics brands actually know what chemicals their suppliers are using to make their products, especially those chemicals such as degreasers or solvents, which are used in the manufacturing process, but do not end up in the final product. It is not acceptable for supply chain pollution to remain hidden due to a lack of transparency. Communities living with the impacts of manufacturing pollution have a right to know what is being released into their local environment and workers have a right to know if their jobs could cause them long-term health problems. A few companies are in the initial phases of monitoring and restricting process chemicals. In 2014, Apple banned the use of benzene and n-hexane in its final assembly facilities. Since then, Apple, HP and Microsoft have extended this commitment to all manufacturing processes. Dell and Google have banned the use of these chemicals in cutting and degreasing processes, and Fairphone has banned them at final assembly plants. 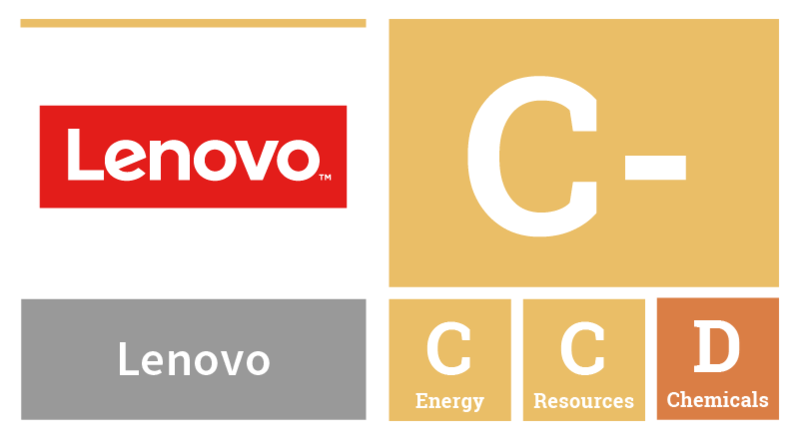 In its product RSL, Lenovo restricts only ozone-depleting substances for use in manufacturing, which while important for the atmosphere, does not qualify as an effort to protect workers or the local environment from potential exposures to workplace chemicals. It’s welcome that now five companies (Apple, Dell, Google, HP and Microsoft) have increased transparency around processed chemicals they are restricting (and to what level) in the manufacture of their products, however, these lists are relatively short in comparison to the amount of chemicals used in production. TCO Certified proposes the good idea of using an “accepted” substances list, rather than “restricted” substances, to ensure that the safety of any chemicals used in manufacturing has been reviewed. More research is needed today to learn the full extent of the use and release of hazardous chemicals in the electronics manufacturing supply chain. This should also take into account the size of the electronics sector and the location of many suppliers in countries in the Global South, where regulations may not be as stringent as in Europe or North America. Companies should lead the way in investigating their own supply chains and revealing the results to their customers, so that they can begin addressing the problems. In addition to identification, prevention and mitigation of adverse health impacts for workers should be conducted throughout the company’s entire supply chain, including remediations for workers who have suffered from workplace exposures. To evaluate companies in the Guide, Greenpeace uses publicly available information from each company, including corporate communications and CSR reports, public submissions to stakeholders and reporting bodies, as well as media coverage. Of the 17 companies included, Greenpeace engaged with 14 directly in preparing our assessments. Companies we did not meet with were Oppo, Vivo and Xiaomi, who declined to share or discuss information on their environmental performance. 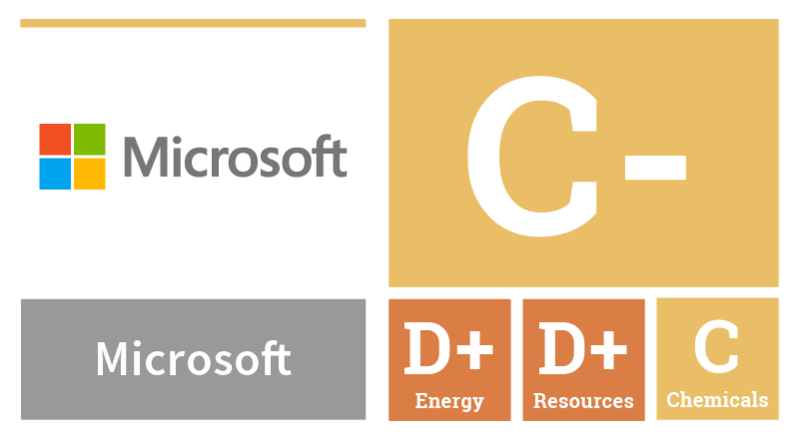 For the 19th version of the Guide, overall grades awarded to each company are derived by an equal weighting of the impact area grades (⅓ each). Impact area grades are derived by the following weighting of criteria: Transparency (30%), Commitment (30%), Performance (30%), and Advocacy (10%). For companies where no positive or negative advocacy is identified in the 18 months prior to the publication of the Guide, impact area grades will be derived by equal weighting of Transparency, Commitment, and Performance. View report card PDF for full methodology. 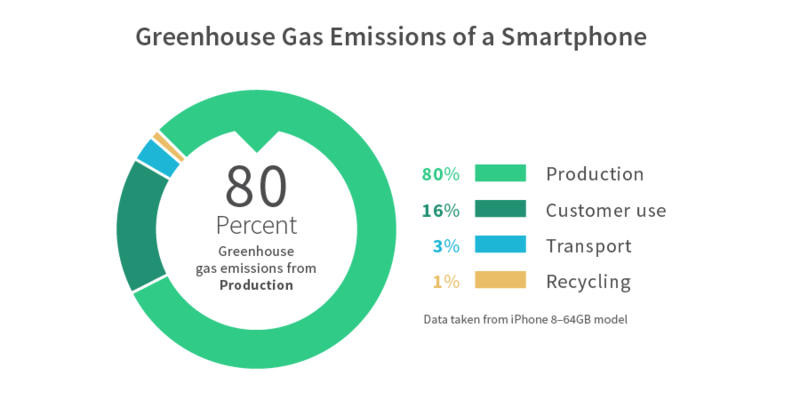 Greenhouse Gas Emissions for Smartphones: Based on Apple’s iPhone 8 lifecycle analysis. 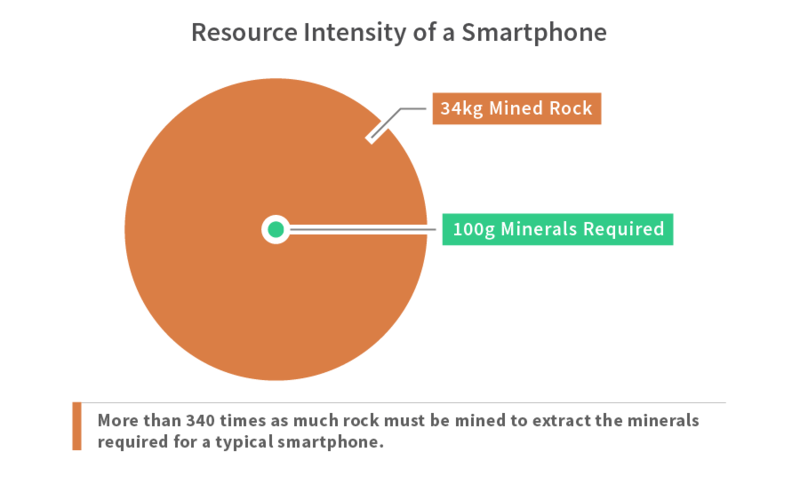 Resource Intensity for Smartphones: To obtain the 100 or so grams of minerals found in a single iPhone, miners must dig, dynamite, chip and process their way through about 75 pounds of rock, from That One Device, Brian Merchant. 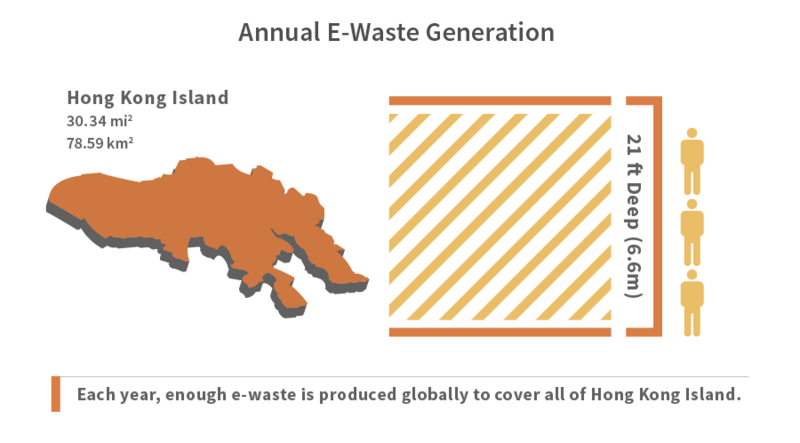 Annual E-waste Generation: Based on 2017 projection from StEP Initiative of 65 million tons e-waste by 2017. Using an average density of .113g/cm3 and the square area of San Francisco and Hong Kong Island, respectively. Consumer Electronics Sales since 2010: based on IDC trackers. Smartphone Manufacturing Energy Footprint: Smartphone Manufacturing Energy Footprint: based on IDC sales figures since 2010 and reported product level carbon data from Apple’s iPhones (iPhone 3g – iPhone 8+), with maximum memory configuration for 2007-2017. Co2e data as converted to kwh by applying standard global carbon intensity for electricity generation of 528gCo2E/kwh. 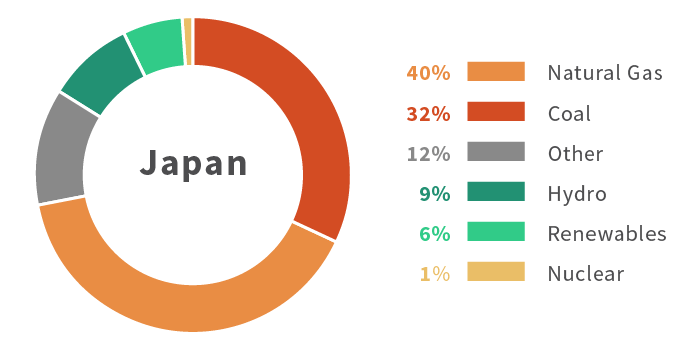 Japan 2014 energy consumption data from CIA World Fact Book. 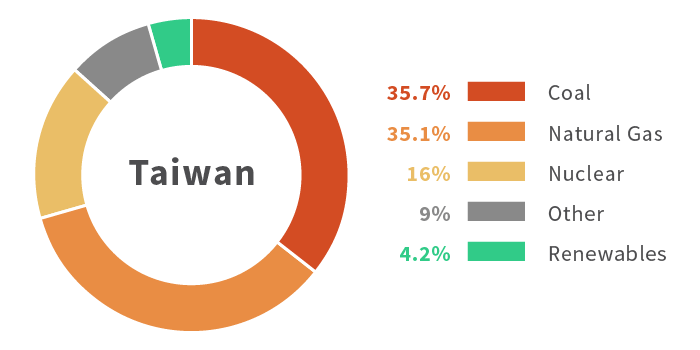 Energy Mix for Asian Countries: Based on data from China Energy Portal 2017, Japanese Ministry of Economy, Trade and Industry 2015, GIZ energy for Vietnam, Greenpeace East Asia for Taiwan and South Korea. 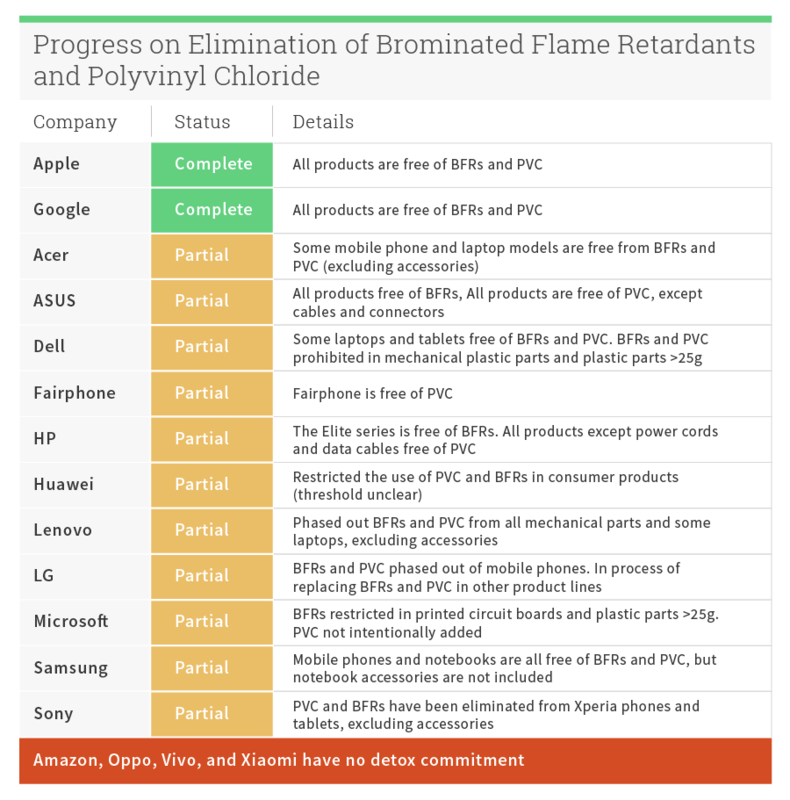 Progress on Elimination of BFRs and PVC: Based on data reported by companies. 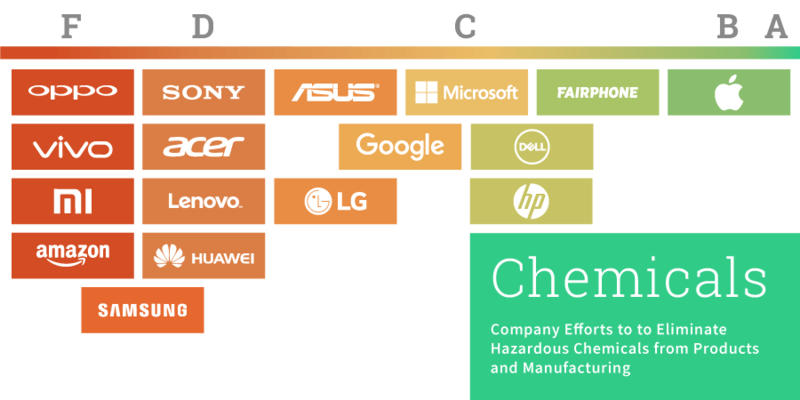 Apple, Google, Acer, ASUS 1/ASUS 2, Dell, Fairphone, HP, Huawei (p. 61), Lenovo, LG (p. 55), Microsoft, Samsung, Sony. 1. Worldwide Quarterly Mobile Tracker, IDC, August 2017. 2. E-waste World Map Reveals National Volumes, International Flows, StEP Initiative, December 2013. 3. The Global E-waste Monitor, United Nations University, 2014. 4. Waste Crime – Waste Risks, United Nations Environment Programme, September 2015. 5. Resource Efficiency in the ICT Sector, Oeko-Institut e.V., 2016. 6. The One Device: The Secret History of the iPhone, Brian Merchant, 2017. 7. Resource Efficiency in the ICT Sector, Oeko-Institut e.V., 2016. 8. This is What We Die For: Human RIghts Abuses in the Democratic Republic of Congo Power the Global Trade in Congo, Amnesty International, 2016. 9. Progress and Challenges on Conflict Minerals, Enough Project, 2017. 10. E-waste World Map Reveals National Volumes, International Flows, StEP Initiative, December 2013. 11. The Global E-waste Monitor, United Nations University, 2014. 12. Smartphone Ownership and Internet Usage Continues to Climb in Emerging Economies, Pew Research, February 2016. 13. Mobility Report, Ericsson, June 2015. 14. Resource Efficiency in the ICT Sector, Oeko-Institut e.V., 2016. 15. Electronic Industry Citizenship Coalition Standards & Accountability, EICC website. 16. Report on Recyclability, Fairphone, February 2017. 17. Emerging Trends in Electricity Consumption for Consumer ICT, Peter Corcoran and Andres Andrae, July 2013. 18. Resource Efficiency in the ICT Sector, Oeko-Institut e.V., 2016. 19. 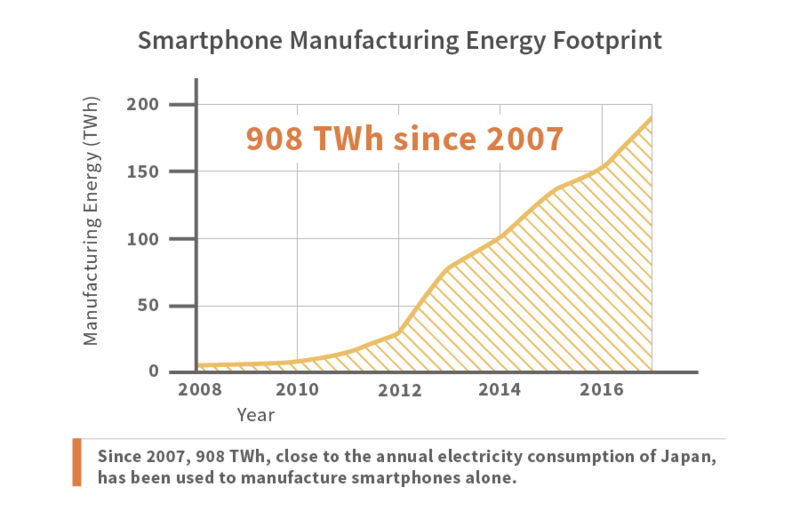 See figure note for Smartphone Manufacturing Energy Footprint below. 20. Clicking Clean report, Greenpeace, January 2017. 22. GHG emissions for the four companies who fail to report any data on emissions (Amazon, Oppo, Vivo, and Xiaomi) were based on representative life cycle analyses of their primary product (Smartphone: Oppo, Vivo, Xiaomi; Tablet:Amazon) multiplied by reported unit sales for 2016. Emissions data from CIA World Fact Book. 23. Samsung 2017 Sustainability Report, p. 39. 26. Amazon Tablet Shipments Grew by 99.4% in 2016, ZDNet, February 2017. 27. Amazon.com Proxy Statement with Shareholder Resolutions, May 2016. 28. Silicon Valley comes out strong against Trump’s decision to abandon Paris agreement, Verge, June 2017. 29. We Are Still In Declaration, June 2017. 30. Apple, Google, Microsoft, and Amazon back EPA in challenge of clean energy rules, Verge, April 2016. 32. iFixit Laptop, Tablet, and Smartphone repairability trackers. 33. Microsoft Surface Laptop Teardown, iFixit, June 2017. 34. First Phone with Upgradeable Camera, Fairphone, Sept 2017. 35. Upgradable tablets may not be easy, but HP proves they’re not extinct, iFixit, August 2017. 36. No phone has ever performed worse than the Galaxy S8 in SquareTrade’s drop test, BGR.com/SquareTrade, April 2017. 37. The Electronics Recycling Landscape Report, The Sustainability Consortium, May 2016. 41. Electronics Standards Are In Need of Repair, Mark Schaffer/Repair.org, August 2017. 42. HP 2016 Sustainability Report, HP, pg 9, 12. 43. The “Scam” Recycling Continues, Basel Action Network, September 2017. 44. Disclosing the Use of Conflict Minerals, U.S. Securities & Exchange Commision, March 2017. 46. Chinese Due Diligence Guidelines for Responsible Mineral Supply Chains, OECD, December 2015. 47. Resource Efficiency in the ICT Sector, Oeko-Institut e.V., 2016. 48. 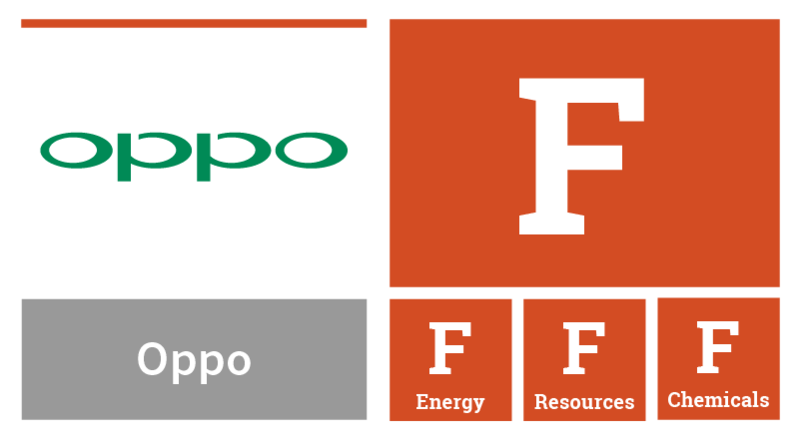 How we got Fairtrade certified gold in the Fairphone 2 supply chain, Fairphone, January 2016. 50. Report on Recyclability, Fairphone, February 2017. 51. Apple’s Environment Page, Resources Section, Apple, April 2017. 52. Zooming in on 10 materials and their supply chains, May 2017. 53. Closed-Loop Recycled Content, Dell. 54. Apple’s Environment Page, Resources Section, Apple, April 2017. 55. GreenGadgets: Designing the Future, Greenpeace, September 2014. 56. Milestones on the Road to Greener Electronics, Greenpeace, 2011, pg 2. Companies that made phase-out commitments as of October 2010: Sony Ericsson, Nokia, Apple, Philips, Sharp, Lenovo, Panosonic, Dell, HP, Samsung, Sony, Acer, Motorola, LG, Microsoft, Toshiba. 57. GreenGadgets: Designing the Future, Greenpeace, September 2014. 59. How China is Screwing Over its Poisoned Factory Workers, Wired, April 2015. 60. 2 words keep sick Samsung workers from data: trade secrets, Youkyung Lee, AP, August 10, 2016. 61. The Blind: A report on methanol poisoning cases in supply chains for Samsung and LG Electronics in Korea, Solidarity for Workers Health, May 2017. 62. TCO Certified Accepted Substances List, TCO Certified, April 2017.